Can you hear it? Can you? It is the sound of HOLIDAY! And here, holiday means crafting and reading. Reading wise I've started Tamora Pierce's books again. I'm reading all the ones in the Tortallan Universe and in order of when they take place. I am reading the Protecter of the Small series at the moment and loving it! 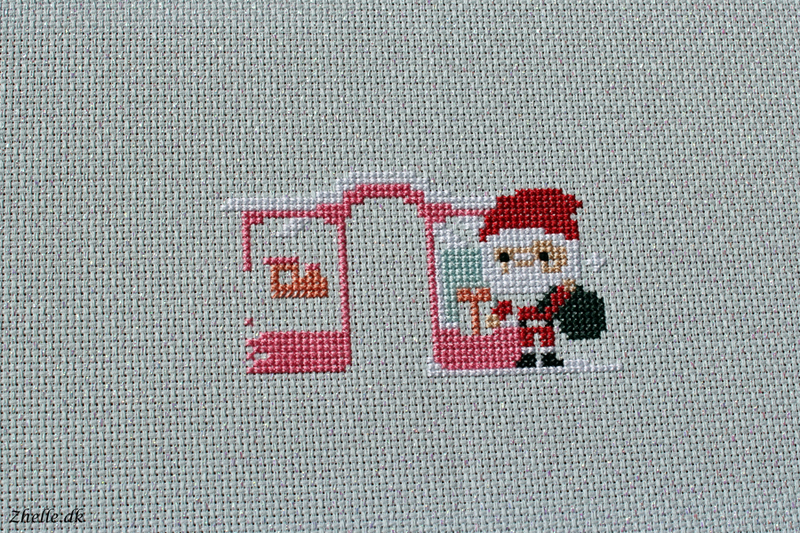 Craft wise I am stitching on A very merry Christmas town by The Frosted Pumpkin Stitchery trying to get as much as possible finished before the next clue comes out. It has really grown over the last couple of days! The camera has decided not to show the sparkle of the aida properly, but in real life it is beautiful and sparkly. 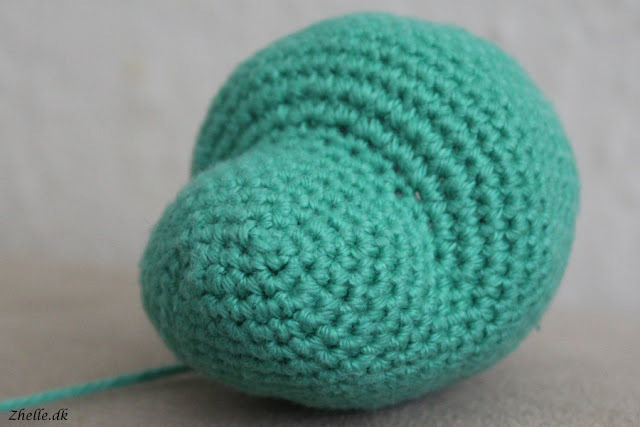 I have also started an amigurumi, a cute little dinosaur from the Simply Crochet mag. 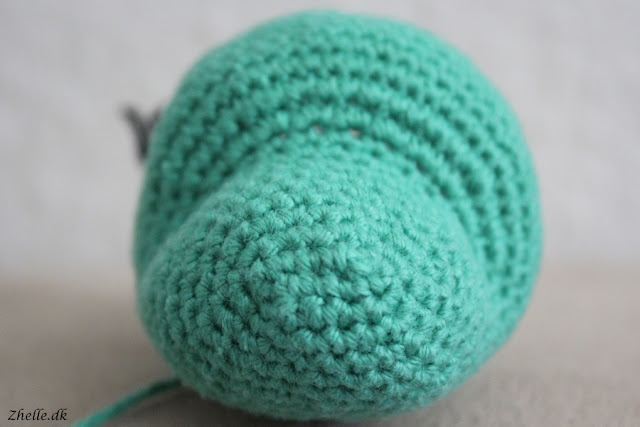 It wasn't planned, but got started when my friend Xenia decided to donate four balls of yarn to me yesterday. I thought the colour would be brilliant for a little stegosaurus! 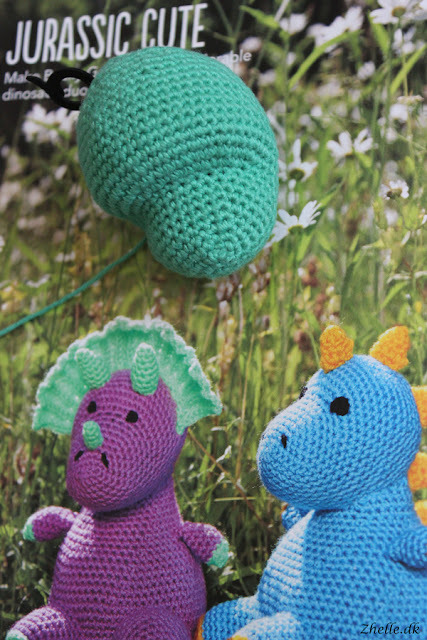 I think they look absolutely adorable and I think it would be a good way to get some amigurumi practice! Look at that cute little face! I am looking so much forward to see it grow and take shape! I hope to show you a lot more progress soon, both on the little dino (which needs a name as well) and on the Christmas town!